This is how the M346I could look like in two years. 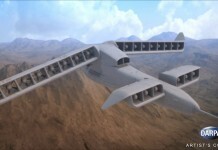 The aircraft will probably receive a local name, rather than ‘improved Eagle’ used on this artist concept. While Lockheed Martin is bashed over the escalating cost of its F-35, the life cycle costs of other fighter planes have often been overlooked, as customers and primes alike focus on the initial procurement cost rather than ‘cost of ownership’ of such planes. 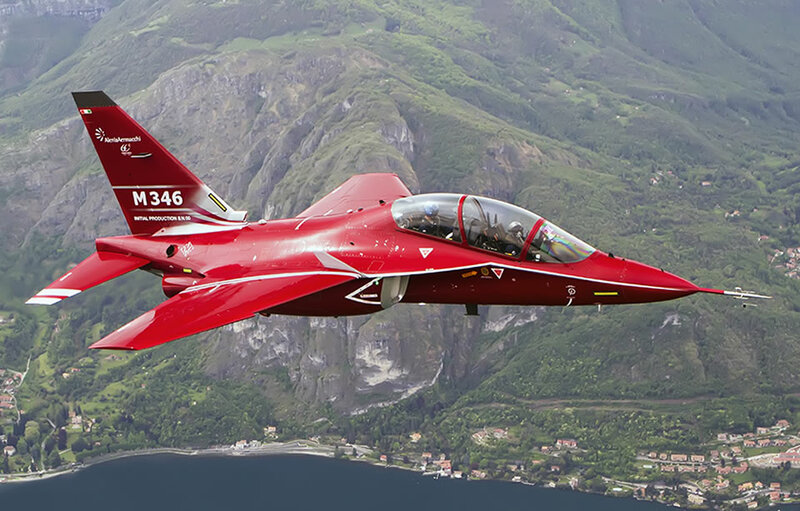 The procurement of 30 M346 jet trainers by the Israel’s Ministry of Defense (IMOD) was regarded as an example of well managed and relatively transparent acquisition program, since most of its elements are run by publicly traded companies in Italy, the US and Israel. In July 2012 the IMOD has reached an agreement on a multi-year maintenance and support framework supporting the Israel air force (IAF) next generation jet trainers. The total project is budgeted at $603 million over 20 years. 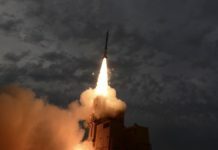 To provide this support Israel’s two largest defense contractors – Israel Aerospace Industries (IAI) and Elbit Systems – established a joint venture called ‘TOR Advanced Training’. Adding the procurement costs of airframes and engines, the aircraft full life cycle cost is expected to almost triple the amount previously quoted during the program was first introduced in July 2012. The contract will be signed in the coming weeks, following the finalization of financing procedures. In order to meet the project’s tight schedule, IMOD has released an interim purchase order and financing covering approximately $27 million to Elbit Systems, to launch the logistical center and maintenance infrastructure for the new aircraft over the next three years. The full cost of this setup is expected to cost $110 million. In early January, 2013 Elbit Systems awarded the M346 manufacturer Alenia Aermacchi $140 million for its part of the aircraft service and support contract. According to the Italian company, the CLS services, which include supply, maintenance and overhaul of spare parts for 30 Israeli M-346. [ismember]IAI and Elbit Systems are currently supporting other trainer fleets (T-6A, A-4N/TA-4N and Grob 120A) at the IAF Flight Academy at the Air Force Base in Hatzerim, near Beer Sheba. The new center will add volume to the existing infrastructure. For specific services such as the engine support, TOR is signing back-to-back contracts with service providers. One such contract was signed earlier this month with Honeywell, as part of the $735 million engine order for the new aircraft. As part of this contract, Honeywell will provide spare parts, maintenance and support via through TOR. The program will be tuned to maximize asset availability and reduce unplanned grounding time. 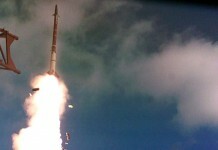 IAI and Elbit Systems will split the remaining amount, to be paid by the MOD based on the flight hours operated by the air force. Elbit Systems said it expects its share to amount to $310 million over the period of 20 years. According to IMOD data the cost per flight hour will be similar to the cost currently paid to IAI for the maintenance of the A-4N/TA-4N Skyhawk used for advanced training. 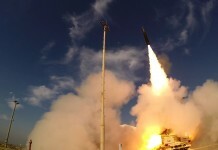 IAI will prepare to provide line and depot maintenance to support the fleet in Israel while Elbit Systems will provide logistical support for the fleet and simulators. 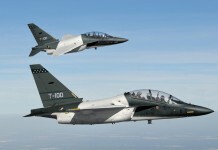 [ismember]In July 2012 Israel has ordered 30 M346 Master jet trainers from the Italian company Aermacchi. 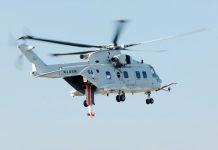 At the time the procurement cost mentioned was $850 million, of which only $600 were directly attributed to the manufacturer Alenia Aermacchi; the costs reflected a flyaway cost of $20 million for 30 aircraft alas, this price excluded the engines, which were bought directly from the US manufacturer Honeywell. Last week Honeywell signed the contract for supplying the 60 F124-200 engines, plus spare engines, spare parts and lifetime support, a contract worth $735 million. [/ismember] With the cost of engines and support program figured in, the IMOD expects to spend about $2.2 billion for its new trainers over the next 20 years – more than tripling each aircraft ‘out of factory’ cost, from nearly $20 to $65 million, reflecting the total ‘cost of ownership’ of these aircraft. This cost is rated at about the third of the cost of a modern F-35 stealth fighter. [ismember]Separation of airframe and engine buys is not uncommon, particularly in the commercial aviation market and in acquisition programs patterned after US practices. Committing to a 20 year period enables the IAF to base its pilot training activity on a solid, predictable basis, committed in the Israeli defense budget for years, similar to the multi-year procurement cycles common in the US. 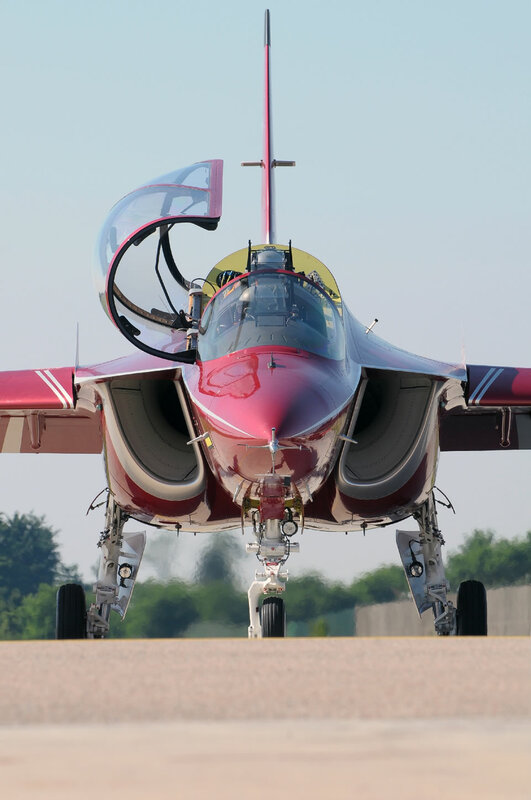 Singapore, opting to buy and support the aircarft acquired 12 M346 Master jet trainers at a cost of $410 million, reflecting $34 million in flyaway cost. This cost seems to be valid also in the UAE deal that didn’t go through, where the Emirate negotiated the acquisition of 48 Masters for an estimated amount of $1.5 billion, reflecting around $32 million flyaway cost. The IMOD direct payments for the 30 aircraft will be spread over a period of 10 years – more then two four year planning programs, therefore limiting the impact on the domestic defense budget to around $60 million on an annual basis. The engines are likely to be covered by the US military aid to Israel, leaving the Israelis to bear roughly $25 million annually ‘out of their pocket’ for operations and support. This cost corresponds to the average amount required to maintain the current TA-4N Skyhawk trainers that will be phased out. Over the 20 years ‘life cycle’, Israel expects to pay about $60 million to own each of these Italian Masters.